Keep your family safe and healthy, not to mention keep your warranty valid - with regular air filter replacement. 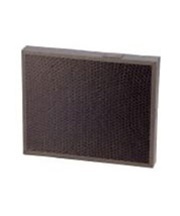 Alen HEPA air filters should be replaced every six months to achieve maximum air filtration. With regular Alen air filter replacements, you extend the life of your air purifier, meet Alen's Lifetime Warranty Policy and ensure optimal air particle removal. Recommended Replacement: every six months. Do not attempt to wash the Alen HEPA filters as it will damage the fibers. It is recommended to clean the pre-filter if it develops a layer of dust.